The ebb and flow of thousands of pieces of household rubbish are to be tracked using sophisticated mobile tags. It is hoped that making people confront the final journey of their waste will make them reduce what they throw away. Initially, 3,000 pieces of rubbish, donated by volunteers, will be tagged in New York, Seattle and London. "Trash is almost an invisible system today," Assaf Biderman, one of the project leaders at the Massachusetts Institute of Technology, told BBC News. "You throw something into the garbage and a lot of us forget about it. It gets buried, it gets burned, it gets shipped overseas." The Trash Track aims to make that process - termed the "removal chain" - more transparent. Friends of the Earth's Senior Waste Campaigner Michael Warhurst said the project could be a "useful tool" for highlighting the impact of rubbish. "[Waste] doesn't simply disappear when we throw it away, and all too often it ends up causing damage when it could be recycled instead. "People must have much better information on - and control over - where their rubbish and recycling ends up." In order to monitor how the pieces of rubbish move around the cities and beyond, the MIT team has developed a small mobile sensor that can be attached to individual pieces of waste. "It's like a miniature cell phone with limited functionality," said Carlo Ratti, another member of the project. Each tag - encased in a protective resin - continuously broadcasts its location to a central server. The results can then be collected and plotted on a map in real time. "It's like putting tracers in your blood and seeing where it moves around your body," said Mr Biderman. Because cell phone technology is cheap and - importantly - ubiquitous, the system should be able to track rubbish around the globe. This could be important when tracking computers and electronic waste, which is often disposed of incorrectly, according to Mr Ratti. "Some of them are shipped to Africa to pollute," he said. The team aims to tag different types of waste from computers and cell phones to bags of garden waste. The group is currently looking for volunteers to donate their trash. The results of the US studies will be shown at two exhibitions in Seattle and New York during September. The team stresses that it has tried to limit the impact of its study and of the technology, and limit the amount of extra waste it contributes to the "removal chain". "We are adhering to the highest standards in terms of environmental impact," said Mr Biderman. "The impact this could have on waste management and removal… could be significant, so these kinds of experiments could be much more useful than harmful for the environment." The MIT team has previously revealed the movements of people around cities, such as Rome and Copenhagen, by analysing mobile phone signals. They used a similar method to show how crowds moved around Washington during the inauguration of US President Barack Obama. The tags used to track the rubbish are a departure from these more passive studies of city movements. 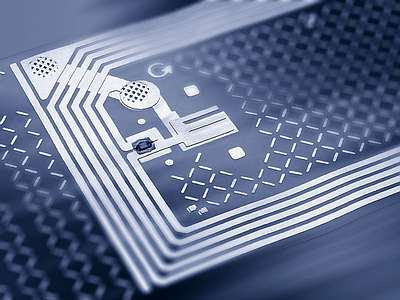 Ultimately, the team hopes that the technology can be miniaturised and made cheap enough that the tags could one day be attached to everything. "Think about a future where thanks to smart tags we will not have waste anymore," said Mr Ratti. "Everything will be traceable."